This green Marc by Marc Jacobs blouse with 3/4 sleeves, pocket and neck detailing is fantastic. 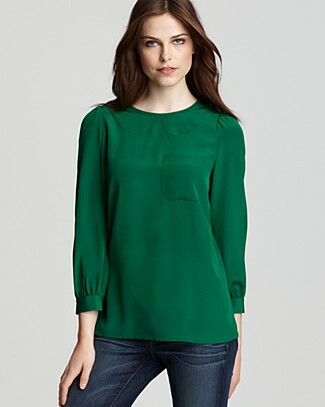 This Marc by Marc Jacobs Kristi Pom Pom Blouse is so pretty. 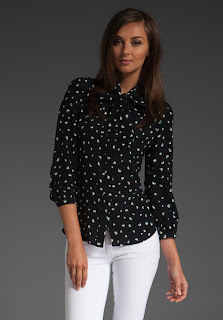 I love the pattern and the 3/4 sleeves and bow detailing at the neck really make the shirt. Another Marc by Marc Jacobs blouse. How fantastic is this reindeer pattern?!?! So playful and fun! 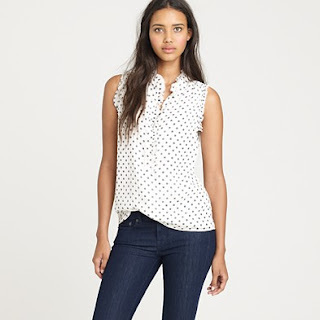 This sleeveless polka dot blouse from J. Crew is a really cute staple. It'll look good under a suit or with a cardigan. And the ruffle detailing is really pretty. I also love the solid version of the Natasha top. The vivid poppy and grape colours are especially fantastic. All nice! Did you end up getting the star top from Zara? K... LOVE that reindeer one!!! Kind of obsessed. 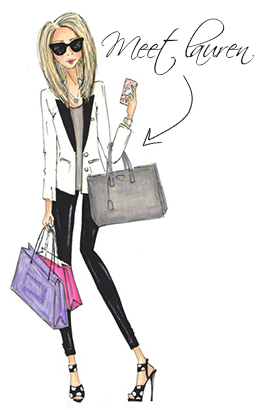 Samantha - I haven't found the star top from Zara yet...I've gone to 2 stores and can't find it :-( I wish Zara had online shopping in Canada. Amanda - I'm obsessed with the reindeer one too!